The Thousand Islands Gilded Age comes to life! Did you know the U.S. Gilded Age and the Thousand Islands Gilded Age is historically from 1870 to the early 1900s? It was a time of great economic growth, a time when European immigrants flooded into the U.S., and a time of railroads expanding America at an alarming rate. Mark Twain first coined the term in his 1873 novel The Gilded Age: A Tale of Today. In it he used satire to show this time period as one of masking social problems with thin gold gilding. He had a point. It was a time of rich and poor, servant and served, beauty and trouble. In my Thousand Islands Gilded Age series, I show what those days were like through the history and setting of the beautiful Thousand Islands in Upstate New York. My stories are a kind of Downton-Abbey-meets-the-Thousand-Islands, but from the perspective of the servant girl. In 1872, George M. Pullman invited President Grant to visit his small island during the reelection campaign. In so doing—and thanks to hungry journalists—he launched a season of the rich and famous buying lots of the Thousand Islands and building castles, mansions, and magnificent summer homes. Those islands, those homes have delightful, intriguing, and often poignant stories to tell. And I aim to tell a lot of those stories! 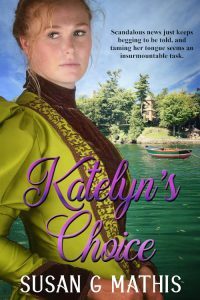 In Katelyn’s Choice, The Gilded Age comes to life in this first installment of the Thousand Islands Series! Here’s an excerpt from Katelyn’s Choice, the first in the Thousand Island Gilded Age series. It releases on March 15th! I hope it’ll whet your imagination and desire to read the entire story. Even at breakfast, Katelyn marveled that the swirl of fumes didn’t choke President Grant as he continued his cigar smoking. After she poured his coffee—without incident—she responded to his wink with a relieved smile and stepped back in line. Mrs. Pullman sent a pleased glance toward her husband, who gave her a slight nod. “I am delighted you rested well, sir, and you are most welcome here anytime.” She took one of the dainty muffins that Katelyn offered from a silver platter. This sounds like a great story! the research must have been fun! 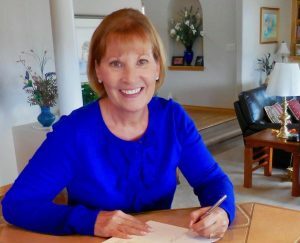 I’ve never heard about these “thousand islands”, Your story sounds intriguing, Susan.